Are Public Cloud Applications Right for Your Boston Business? – Synivate, Inc.
Are Public Cloud Applications Right for Your Boston Business? One of the most significant trends in the business world is the use of cloud computing. Synivate knows this first hand because many of our clients have contracted with us for cloud computing solutions, including public, hybrid, and private cloud computing. There are many advantages associated with using cloud managed networks, including the opportunity to increase operations capabilities in response to business expansion. 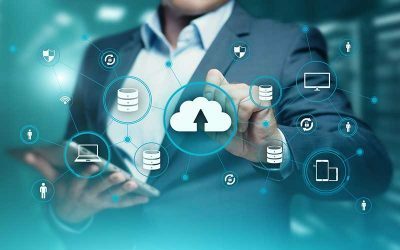 Cloud computing through Veeam Cloud Connect and other cutting-edge solutions can even replace some areas of the traditional IT environment, reducing the need for management services and cutting essential costs for today’s technology-dependent businesses. When discussing needs for cloud computing solutions, many companies have concerns about security and visibility. This is understandable, as even the most basic “mom and pop” type of organization could be breached and significantly damaged if security is not maintained. As more and more businesses move their IT operations into the cloud, it is essential to work with a professional service that will assist you in securing your cloud managed networks. Performance, security, speed, and access are just some of the biggest concerns expressed by today’s businesses who are considering the use of public cloud applications. Studies reveal that “lack of cloud visibility” is often the core of security issues that cause many companies to have problems with public cloud applications. Lack of visibility can create delays in the troubleshooting of an application, including performance issues, network performance issues, application outage, network outage, and the inability to monitor performance workloads in the cloud. When businesses can get visibility into these issues, they can more effectively work to identify performance issues, enable threat prevention solutions, identify malicious traffic, and detect any other indications of compromise. Synivate has solutions for cloud managed networks to put software, hardware, and even some of your company’s most essential IT operations into the cloud. Why Put IT Operations in the Cloud? While software and hardware, such as public cloud applications, are the most common types of things that businesses put into cloud computing, the third option is to put crucial IT operations in the cloud. This helps businesses to more effectively work with a company like Synivate to perform real-time or daily backups, store copies via cloud storage, and also at our facility. For companies where security is a major concern, the best way to take advantage of cloud computing is to work with innovative technology solutions at Synivate. Our technicians have knowledge and experience working with cloud managed networks and Veeam Cloud Connect, to offer our customers the best possible options for security. Public Cloud applications are the most common type of cloud computing used by businesses today for a reason. The most common cloud storage applications include DropBox, Amazon Drive, and Google Drive. While there are free options used by consumers, there are also premium options that are much more secure and allow for more storage, yet they are still considered to be public clouds by definition. The term “public” in cloud computing is defined as a provider that utilizes the same hardware to provide cloud computing services to all of its customers. What that means is that you are sharing storage devices, servers, and networking equipment required to run these public cloud applications with thousands of other subscribers of these services. Public cloud computing services are very flexible, allowing users to increase storage space quickly and effectively, as needed. For companies who want to take advantage of cloud managed networks for business, either through public, hybrid, or private cloud computing, security is necessary. Unfortunately, many companies overlook this critical step. Synivate works with our customers to include security solutions to safeguard essential company data and prevent access to proprietary applications. These increased security options also work to provide better control over IT operations, which is what most of our customers require. Depending on the industry that your company falls under, there may be regulations regarding specific levels of encryption and security that must be maintained. There is no one-size-fits-all solution for every single type of business. Synivate works with each client to ensure that we develop options for public cloud applications and cloud managed networks solutions that meet their requirements and industry specifications. If you are interested in learning more about Veeam Cloud Connect or would like to explore your options for public, hybrid, and private cloud computing, contact Synivate today by calling 617-517-0704 or by using our online contact form on our website.